If you were recently told that you needed a root canal, it’s like you are wondering: “Is a root canal painful?” When most people hear the words “root canal,” their minds often immediately go to the thought of pain. 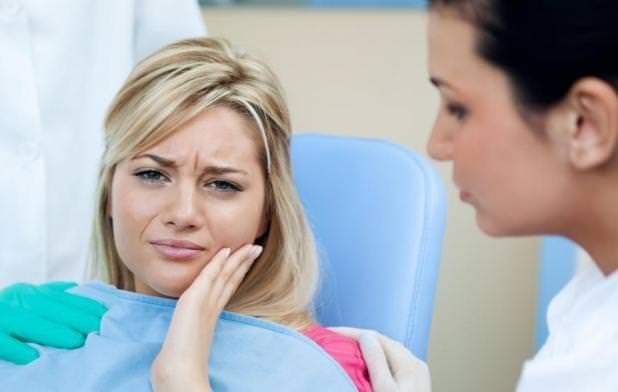 However, in reality the pain associated with a root canal is typically caused by the pain in the infected tooth not the dental treatment itself. In any case, being familiar with what to expect and knowing more about the process itself will help you combat any fears that you may have. Thus, you will be able to effectively prepare for the procedure, and to determine is a root canal painful. A root canal is a procedure used to repair a badly damaged and/or severely infected tooth. filling and sealing the tooth. Conditions that may require a root canal include a deeply cracked tooth, an extensive cavity, repeated dental treatment to the tooth, or trauma. The terminology for this procedure actually comes from the process of cleaning out the insides or “canals” of the root of the tooth. If you are concerned that you may need a root canal, your dentist will conduct several steps over the course of a few office visits. 1. X-Ray – To determine if you do indeed need a root canal, your dentist will take several x-rays and examine the images to identify the locations of the decay. 2. Anesthesia – If your dentist determines that you do need a root canal, an appointment will be scheduled for the procedure. Once you arrive for the appointment, you will be put under local anesthesia. This process gives valid answer to the “Is a root canal painful question.” With anesthesia, it is no more painful than a filling. 3. Pulpectomy – Once the anesthesia has been effectively administered, your dentist will begin the process of cleaning the tooth. This step involves making a small opening in the tooth and removing the diseased pulp. 4. Filling – After the roots have been successfully opened and cleaned, your dentist will refill the tooth and seal it with a cement-like compound. Prior to treatment, most individuals do experience a significant amount of pain in a tooth on which a root canal is to be performed. However, this pain is due to the infection in the tooth. The root canal process is actually painless. In fact, the local anesthesia that is use acts to numb the tooth as well as the surrounding area, so you should feel no pain or discomfort during the process. If you are under the impression that you will no longer feel pain in the treated tooth following the procedure, that is not necessarily the case. While your tooth will no longer be sensitive to temperature extremes – hot or cold – it is common to have some sensitivity around the site of the tooth for a few days following treatment. If you begin to experience pain after root canal, your dentist can prescribe medication to reduce inflammation and provide you with effective relief. In some cases, even prior to the procedure, an individual may not experience any pain in the affected tooth. If that is true in your case, it does not necessarily mean that you don’t need treatment. Your dentist can determine if the tooth’s pulp is indeed damaged or infected and needs removed, in which case, you need a root canal. Some individuals will notice a small bubble that looks like a pimple develop near a damaged tooth. If you experience this, you need to see your dentist immediately. This “pimple” is actually a fistula that is functioning to drain pus from the infected tooth. You won’t experience any pain because the fistula prevents too much pressure from building up, but the infection needs treated. Without appropriate treatment, the surround tissue may become infected. Practice effective oral hygiene. – Be sure to gently brush your teeth twice a day, and floss once per day. Improving your daily care of your teeth will help prevent additional problems in the future. Also, keeping the site of the procedure clean and clear of food and debris will prevent infection or further issues from surfacing. Schedule regular check-ups. – You should have a follow-up appointment after your root canal to assess the success of the procedure and complete any needed additional steps. In some cases patients need a permanent filling or crown. After this follow-up, it is important to keep regular appointments with your dentist for cleanings and examinations. Avoid hard foods. – Repeated chewing on hard foods, such as ice, can damage teeth and cause them to break. This habit can even damage root canals, so it’s best to avoid directly chewing on any hard food. So the answer to the question, “Is a root canal painful?” is no. However, there is more to it than just considering the procedure itself. An infected tooth can cause discomfort prior to treatment, and inflammation surrounding the teeth post-treatment may cause some slight soreness. Being aware of these concerns, implementing effective oral hygiene practices, and contacting your dentist with any additional concerns, though, will help you avoid any unnecessary pain or discomfort.